McDonald’s is one of those fast food chains that are so massive and have been around for so long that it has even spawned a number of urban legends. Think about it, you get all these stories about the finger in the Wendy’s Chili and or razor blades in various fast food salads but perhaps one fast food chain that gets a lot of flak is McDonald’s. Most people are aware of all the stories and supposed “test” conducted on McDonald’s burgers and fries wherein it was discovered they were made of odd ingredients like glue or cardboard or some other truly out-of-this-world ingredients- not true. McDonald’s will not serve you the healthiest fare but it doesn’t mean they will try to get away with serving you food items made of perfectly incredible ingredients. They do have standards to uphold after all. If you want to set your mind at ease and you want to eat McDonald’s without worrying (too much!) 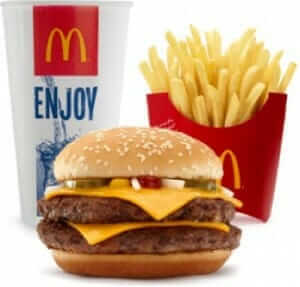 about your health below are some nutrition facts about McDonald’s you will surely be interested in. The fast food chain is making an effort to clean up its act and it is only but fair for you to find out what you are really dealing with. 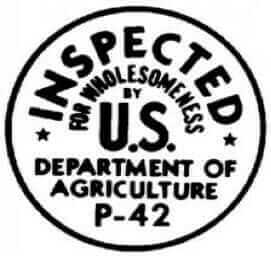 McDonald’s has been Using USDA-Certified Grade Beef without Fillers Since 1995. 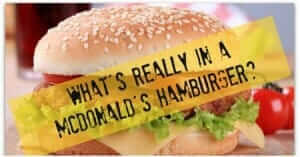 This is sure to be great news to those people who have been looking for good nutrition facts about McDonald’s. So many things have been said about the beef used in McDonald’s burgers and how they aren’t even made out of real beef. This should debunk those misconceptions one and for all. It is real beef and while you should still eat McDonald’s burger sparingly, you can rest easy knowing you aren’t chowing down on cardboard. They are Offering Substitutes for Their Fries (2014). 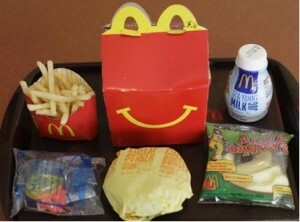 Think about what you know about McDonald’s value meals- you get a drink, a burger, and fries. It always comes with fries because fries are part and parcel of McDonald’s value meals. However, fries aren’t the healthiest of options and most health experts even say that French fries from fast food chains are the worst of all. 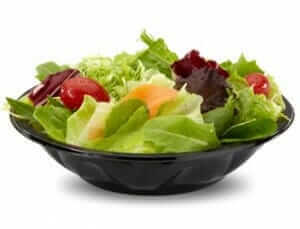 Starting 2014 McDonald’s will give customers the chance to substitute the fries on their value meals for side salads. They also plan to offer apple slices as substitutes but they will roll out the side salad options first. 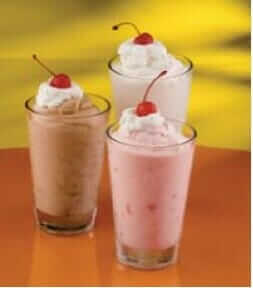 Say you go to McDonald’s to look for a nice, sweet refreshing drink. They have a nice selection of shakes but if you are on a diet, you really should avoid the chocolate McShake with whipped cream and cherry or you will live to regret it. Much has been said about liquid calories and how people sip and sip without knowing they are ingesting hundreds of calories. The McShake is a whopping 700 calories per serving. How’s that for nutrition facts about McDonald’s? 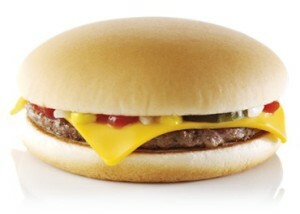 If there was ever an iconic menu item that people go to McDonald’s for, it has to be the cheeseburger. If you are hankering for a quick snack and you want something relatively low-cal, you should opt for the cheeseburger and skip the shake since it is a measly 300 calories. Certainly more reasonable when compared to other fast food menu items in terms of calorie count. This is a meal for the truly hungry because everything is upsized and massive. One thing you need to know about this meal though is that it packs a punch calorie-wise. This massive meal clocks in at 1390 calories which is just about a whole day’s worth of meals if you are trying to lose weight. Breakfast is supposed to be the biggest meal of the day but it should be comprised of healthy food. The big Breakfast with hotcakes is massive, yes, but it isn’t necessarily healthy. This McDonald’s menu item is about 1090 calories which makes it a bit too big. McDonald’s Ingredients Sourced, at Least Partly, in Michigan: Apples, Beef, Blueberries, Eggs, Cucumbers and Milk. Rumors have always been swirling about where McDonald’s gets their ingredients and you will be happy to know they get some of their ingredients right in Michigan in the good ole US of A.
McDonald’s Began Posting Calories for Menu Items About a Year Ago, Prior to the Implementation of Federal Laws that will Require the Same from all Fast Food Restaurants. There was a massive outcry about the fatty meals served at fast food chains and the public demanded to know just how fat their food was. McDonald’s got a lot of flak but the thing is it was already posting nutrition facts in the site way before the law was cemented. They will be introducing a southwest chicken wrap in November which is part of their premium line. The wrap is just 580 calories but it turns into 690 calories when you go with the crispy chicken option. It has to do with the breading and oil used to make the crispy chicken. Kids love McDonald’s happy meals. The soda that comes with them is a bit much for most parents though and this is why between august 31 2013 and July 21 2013, 21% of parents opted for low fat milk in their kiddies’ happy meals just to make it healthier. So you see, the more you know about what you eat, the better the choices you make. While it is probably not a good idea to eat at McDonald’s every single day, at least these nutrition facts about McDonald’s can shed some light as to what you are ordering and how it will affect you in the end. Knowledge is power even if you are just talking about fast food meals.